Pee Wee will take you on a trip through his musical life and times with the likes of James Brown and Van Morrison. 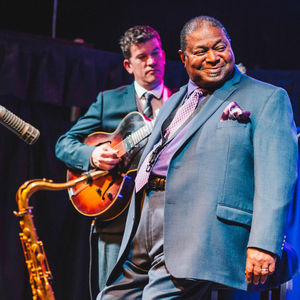 Funk legend Pee Wee Ellis premiered this intimate portrait of himself in London last year and it was an instant hit. Effectively ‘interviewed’ by star vocalist Ian Shaw, Pee Wee will take you on a trip through his musical life and times with the likes of James Brown and Van Morrison along with a rare glimpse into the musical genius that have kept him at the top of his game for over 50 years.